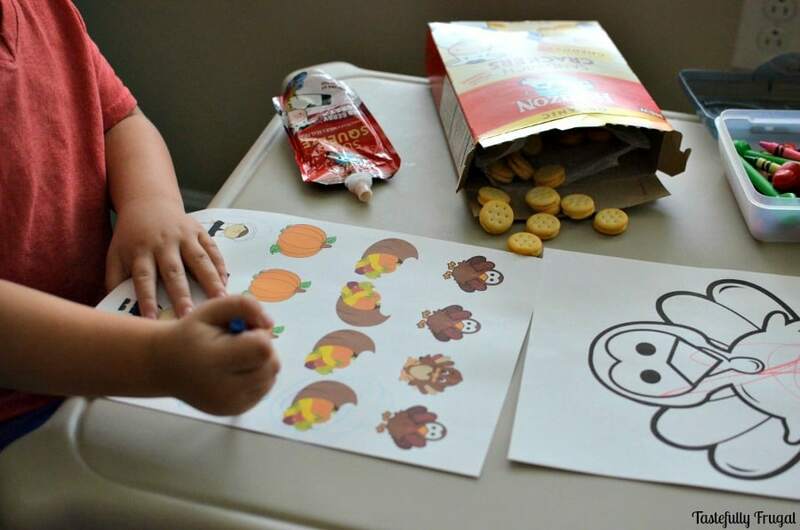 Make lunch time fun with Horizon crackers, squeeze pouches and these fun Thanksgiving activities. How are lunch times around your house? Do your kids willing eat everything on their plates; or are they like my boys? They would much rather go outside and play with their friends or play with their train track then come sit down and eat lunch. It’s a real struggle and I’m sure it’s one I’ll face when they go off to school too. Who wants to sit down and eat when there is so much fun to be had at recess?! My goal is to get them in good eating habits now so that when I’m not with them they will still make good choices. One of the easiest ways to do this is to not only serve healthy meal options but healthy options that are fun to eat too. 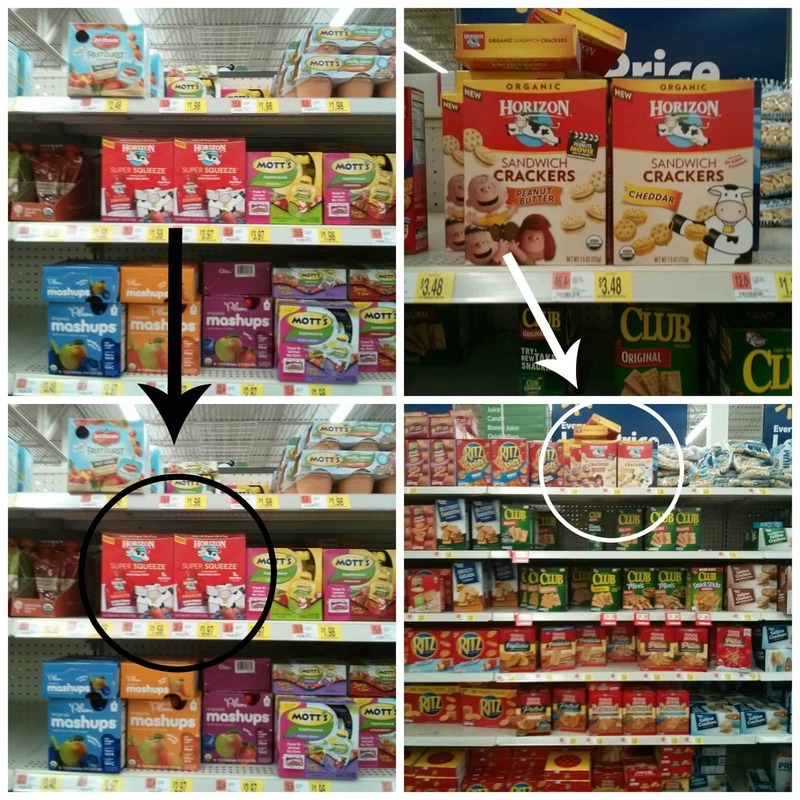 My boys love eating any thing that they can squeeze so when I was at Walmart and saw these Squeeze Pouches I knew they would love them. I like them because they have 5 grams of protein in each pouch and are a great source of calcium. Then when we were going down the cracker aisle they saw the Horizon Peanut Butter Crackers and went nuts because they saw Charlie Brown too. They have been pretty obsessed with the new Peanuts movie that came out on November 6th (you can check out the trailer here) so they HAD to have the crackers too. I’ve found that if you let kids choose what goes into their lunch it makes it easier to have them eat it come lunch time. So now that I had some healthy lunch options how do I get them to the table? My boys love learning and they are loving all these new holidays. New to them; they are two and three and the only holiday they really remember is Christmas. 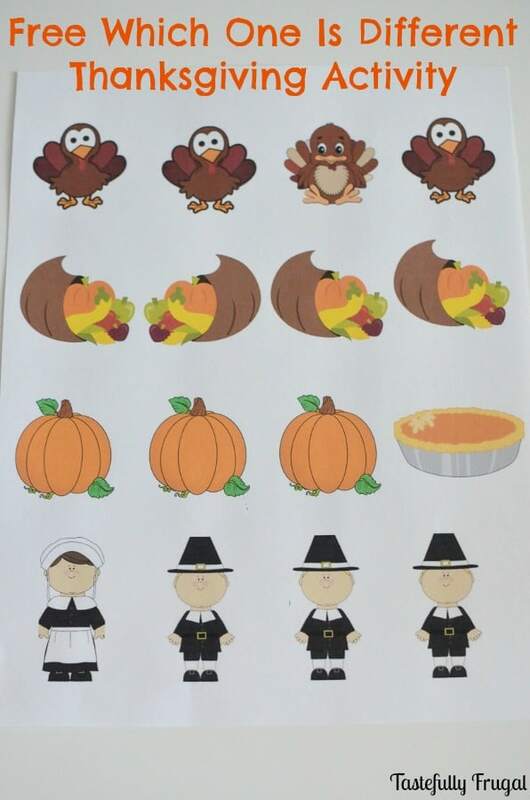 So I created these fun Thanksgiving printables. Now all I have to do is ask them if they want to learn about Thanksgiving and they come running to the table. 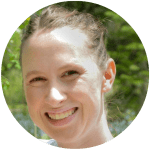 Bonus: having easy to eat lunch options makes it even easier for them to eat their lunch while they are doing their activities. Click here to print Which One Is Different. 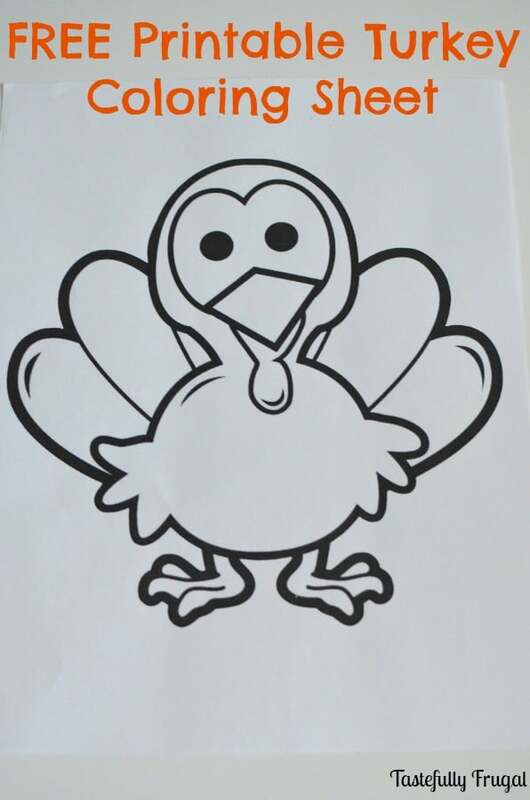 Click here to print Turkey Coloring Sheet. Now lunch time is all about fun. 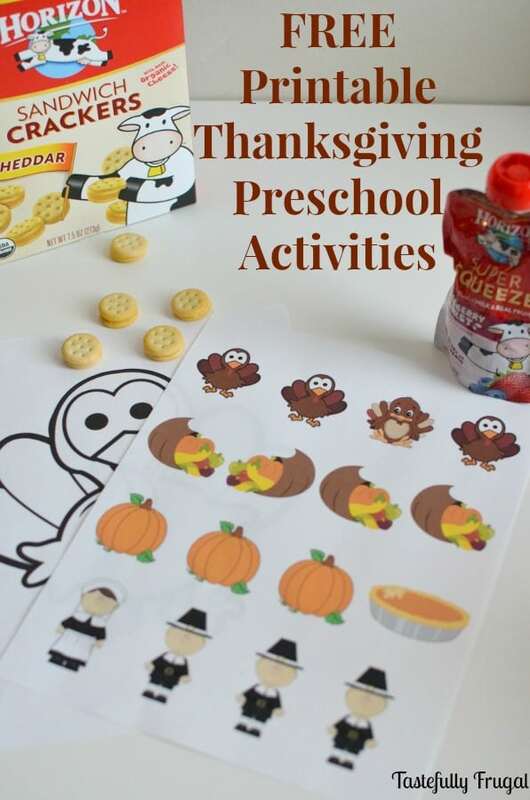 I’ll definitely be making more of these activity sheets for each holiday and season to keep my boys engaged and excited for lunch so keep your eyes pealed for those. 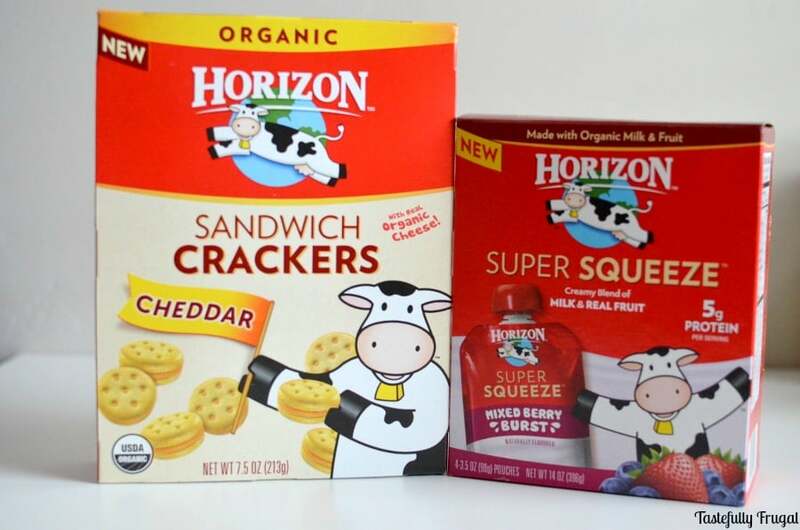 I’ll also be keeping these Horizon snacks stocked in the pantry too. It’s nice to know that what my boys is eating is healthy and it’s something they enjoy to eat too. How do you get your kids excited about lunch time? For more healthy lunch ideas and coupons head on over to Horizon’s Website. As the holiday season and Black Friday deals are back there is heavy rush on official website for Grubhub Promo Codes , one can simply use the codes at various online stores to avail the offers..